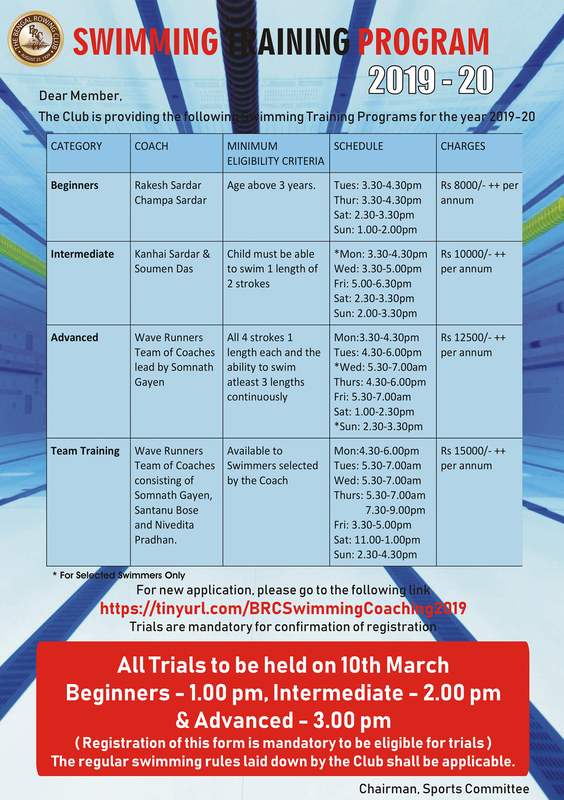 Description: Swimming Training Program 2019-2020. This is an Application Form and Enrollment is Subject to Coach's Discretion at The Trial. Trial to be Held on 10th March 2019. Timing will be Informed on the Registered Mail Id.